The current recommendations to give babies being fully or partially breast-fed 400 IU, or International Units, of vitamin D each day "is quite satisfactory," said lead study author and registered dietitian Hope Weiler of McGill University in Canada. In 2011, the Institute of Medicine also recommended 400 IU of vitamin D as being beneficial to infants, from newborns to babies up to 12 months - or even beyond. But most babies who are breast-fed do not receive enough, because most new parents aren't giving their babies vitamin D supplements, according to Dr. Steven Abrams, a professor of pediatrics at Baylor College of Medicine and author of an accompanying editorial published in JAMA. Abrams, who is also a member of the nutrition committee of the American Academy of Pediatrics (AAP), says only about 10 to 20% of babies who are breast-fed are also given vitamin D.
"We know very well if you don't have enough vitamin D, you can develop rickets as an infant or young child," Weiler said at a news conference on Tuesday. Rickets is a disorder which leads to softening and weakening of the bones. Vitamin D is essential for growing healthy bones because it helps the body absorb calcium - without enough calcium, bone production may suffer. Our bodies have the ability to produce vitamin D when our skin is directly exposed to the sun. However, you can't be wearing sunscreen to make this happen and babies younger than 6 months shouldn't be in the sun anyway - according to the AAP and FDA, 6 months is the earliest sunscreen should be applied to babies. Babies who are exclusively breast-fed or even partially breast-fed are unlikely to get enough vitamin D because their mothers may lack it. Babies who are formula-fed usually receive enough vitamin D because the government requires that it be included in formula. "A daily exposure of vitamin D intake of 400 IU per day has been demonstrated for almost 100 years to reliably prevent rickets in infants regardless of sunshine exposure or race," writes Abrams in the editorial. Back in the 1920s, when the recommendations were first established, vitamin D supplements came in the form of a teaspoon of cod liver oil. These days, you can buy a bottle of the supplement and give your baby the recommended amount with an eye dropper. It's hard to quantify how many babies get rickets because reporting is not required in the United States, but pediatricians like Abrams say they are seeing more cases: "'There's been a mini-epidemic of rickets in the U.S.," he says. There doesn't appear to be strong pediatrician support for the recommendations, he says, and new parents may not be aware of the recommendation. In addition, families on a tight budget may need to be convinced that buying an over-the-counter vitamin D supplement is important. A quick survey of some national pharmacy and retail chains shows a bottle of vitamin D drops for infants costs about $9 to $12. That could be a hardship for families on public assistance, which is why Abrams has suggested over the years that it may be worth making these supplements part of public assistance. If the breast is best then nothing else is needed. If the body can produce all the D it needs from the sun, then get it from the sun. Clearly "modern" medicine is all phucked up. YOU GOT IT!, and if the mother doesn't want to get it from the sun the MOTHER can take supplements of 4000-6000ui of vitamin D and produce milk with plenty of vitamin d. and the supplements for adults are MUCH MUCH cheaper the the ones made for babies. In the "old" days, parents used to let their babies lie fully naked in the sun for about 10 min. Took care of the Vit. D issue and helped to relieve diaper rash. When my kids were young, I used to make sure they got about 10 min per day of sun on exposed arms and legs (without sunscreen, of course) to help get enough Vit. D.
Come on now. everybody gotta pop em pills, even the infants now? We are getting a little vitamin D supplement crazy here. Just take your babies outside for some fresh air & sun most days, and get some yourself. We'll all be a little healthier if we just followed that simple step. Heck I should take my own advice, my work days are too long (p.s. I'm a physician). The people who should be supplementing are the ones who have difficulty with vitamin absorption, people who never see the sun (perhaps such as myself), people who have extremely low vitamin D levels already for whatever reason, people taking osteoporosis meds, renal patients. Little healthy babies, i think not. No. 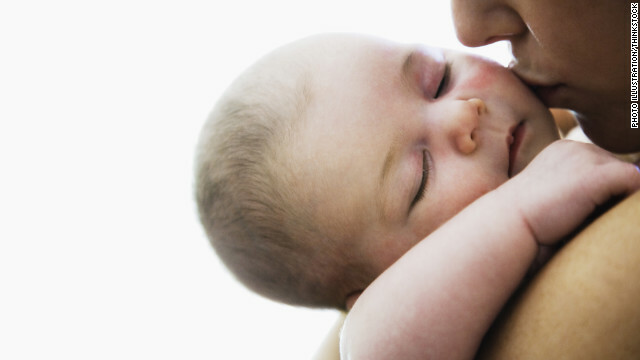 Breast fed babies do not need help from a bottle or a pill. Nursing mothers and their babies need more sunshine. Period. Breastmilk and sunlight=healthy baby By the way, the synthetic vitamins are very hard on a person's liver and kidney's. Downtown gal, do not compare breastfeeding a baby in public to "vomiting or taking a dump" in public. Breasts are for feeding babies. It is their intended purpose. I am very discreet. I fed my 2 month old son while out to dinner with my husband today. No one even noticed I was feeding him, but even if they did, I really don't care. You know what I find offensive? People who use fake breasts and fake breast milk to feed their babies because they are too ignorant to do what is best for their children. That's what bottles and formula are, right? Some women are unable to breastfeed their children due to medical issues and have to use formula due to no fault of their own. This is not ignorance. Sorry, this is total bull. As long as the mother is getting enough D, then baby will be fine without supplements. You know how we know this is crap? Because the U.S. has an inCREDibly low rate of breastfeeding, and yet the researchers think breast-feeding is the cause of the "epidemic" of rickets in the U.S.? I saw a mother feed her 6-month old a cheese quesadilla the other night for dinner. What kind of salsa did she use? Or was it Cholula? I love me some Cholula. It is just silly to buy a supplement. Babies were made to drink just breast milk. Take your baby for a walk in the early morning sun every day. And I agree letting them go without a diaper in the sun and fresh air a bit every day helps keep their diaper area rash free and healthy. That is all I did. Breast milk until he was 2 years old, never would drink cows milk and his bones and teeth are very strong. No rickets and in fact, nothing more than a mild cold or a day of vomiting over the years and he is almost 5. If the mother doesn't want to get it from the sun the MOTHER can take supplements of 4000-6000ui of vitamin D and produce milk with plenty of vitamin d. Also, the supplements for adults are MUCH MUCH cheaper the the ones made for babies. Why give it to the child? because most of the the vitamin D drops you will find that are for infants are made my formula companies... got to get some $ from breastfeeding some how!! If all human babies NEEDED vitamin D other than what they were getting from breast milk and the sun than the human race would not have made it tus far. all our ancestors would have had rickets. That's exactly what I thought when i read the article as well... it's just a money-making ploy. Actually, rickets is an historically HUGE health problem. The November 1967 issue of the American Journal of Clinical Nutrition gives a nice history if you care to take the time to read it. In turn of the 20th century at Boston Infants Hospital, for example, 318 out of 400 infants had rickets. Furthermore, between 1910 and 1961, there were 13,807 deaths from rickets. I understand what you are saying but perhaps it's best to not be so flippent with your statements and back them up with solid data instead. @sanescientist just seeing your comment. In 1967 most baby's were never breastfed so breastfeeding was not a cause . on 1/4 of moms were nursing at all when they left the hospital. "by 1967, only 25 percent of American infants were being breastfed at the time of hospital discharge" -The Economic Benefits of Breastfeeding A Review and Analysis. So by your numbers 79% of infants had rickets... but at that time on 25% of babies were breastfed. It was probably the lack of vitamins from the Formula Mixes and passably a lack of fats, as fats are needed for Vitamin D absorption. (also this is pumpmasterkamp. I'm no longer pumping/breastfeeding as my son weaned a month ago at 33 months, and I'm now a breastfeeding counselor) Lastly, most of the studies showing a need for Vitamin D is with lower income "women of dark complexion", which they mean African Americans, in Largely urban environments where they are inside with little access to sunlight. You are, also, correct I didn't give a full explanation, being a comment section I didn't feel the need to do so. I hope you see my information I have added with this comment so that you see that I fully understand this topic, and the feeding practices of the early 1900's as well as the changes that have happening since. Has anyone made any poor taste jokes about double D's yet? In the winter, I nurse by the window and take my vitamins, plus eats plenty of plants. In the summer we spend time outdoors, I take my vitamins, and eat plenty of plants. My pediatrician still urged us to get vitamin D drops and an iron supplement for the baby... she didn't even test to see whether there is truly a reason to be concerned. Ugh. That's silly. A few minutes of sunshine every day should do the trick. This isn't really about Vitamin D, but in response to some other posts: I find it really offensive and hurtful when people compare breastfeeding to other bodily functions or to sexual activities. I'm generally a modest person who doesn't like showing much skin (I still try to cover up as much as I can when nursing my daughter while we're out). But she's an innocent 5-month-old baby who doesn't understand why her tummy feels the way it does when she gets hungry. She relies on me. And like most babies her age, she wants to eat every 2-4 hours. So sometimes there's nothing to do but discreetly adjust my clothes and let her nurse. When I do so, I'm simply GIVING MY BABY FOOD. That's all. I'm not making any kind of statement about my body. I'm not asking you to look (I'd rather you didn't). I just want to soothe my baby and get on with things. Today, for example, I had to nurse her while we were out at lunch (I hadn't expected her to get hungry, but she did). In doing so, we certainly weren't hurting anyone or making a big scene. And it wasn't like I was at work or had some other commitment that required my sole focus. I simply knew that lunch wouldn't be over quickly enough for my daughter to eat soon, and I did what I had to do to help my child. For those who think "whipping out your breasts," is just some easy-breezy thing for all nursing moms, let me say, it's NOT. Many of us feel vulnerable as we're learning breastfeeding patterns and how to be good parents. I'm just trying to do right by my kid. I love her. This is one of the best stated defense of NIP that I've come across. It's exactly how I feel. Thank you. Perfectly said. My first son never went more than 2 hours without eating. I'd had no idea how judgmental people were going to be, even though I would always try my best to be discreet by wearing the proper clothing and using blankets. And please don't tell me to go to the ladies' room: How many public rest rooms have struck you as a good place to feed your child? who paid for this study? either those who make the liquid vitamin d or the formula making goons. That's exactly what I was thinking! The lonely little comment "because their mothers may lack it..." says it all! But instead of rectify THAT you want to suggest that breast milk is incomplete??? Please! Did Enfamil fund this article? This must be why so many infants I see have horrible cases of rickets! haha. You must be a real moron to laugh at a disorder like rickets. Most people commenting at this article don't even know the seriousness of vitamin D supplementation during breastfeeding. My wife and I know first hand. Also, not everyone can get a lot of vitamin D from the sun. It's harder for dark skin people to gain from the sun. No matter how much you read or hear news about rickets, you really won't understand until you are stuck in a situation me and my wife are in. Old news and not true that you need supplements. I was at an upscale department store and went to sit by the lounge area to nurse my baby. I chose a discreet spot yet a woman made a comment that I should do that in the bathroom. I said, "that's disgusting. Do you eat where you poop?" I am constantly amazed at people who judge erroneously. Do not give me your uneducated opinion, sprouting nonsense and following what society dictates on health, etc.... Our bodies produce milk for a reason, just as the sun is a natural source of vit. D.
Excellent come back!! Glad you spoke up. That's just common sense in my opinion, but we have to educate the ignorant somehow. Keep up the good work! "...reiterates that breast-fed babies also need a vitamin D supplement." Actually, the JAMA editorial says no such thing. I recommend people read the study and editorial for themselves. Here's what the study ACTUALLY says: there is a certain level of vitamin D recommend to maintain proper calcium absorption for healthy bone growth. Other roles of vitamin D are being researched but are still unknown. NO where in the editorial does it say that breast milk lacks vitamin D. What it says is that the recommended level of vitamins and minerals are usually based on the concentrations found in breast milk. This is not the case with vitamin D. Instead, the recommended levels are based on how much vitamin D you need to produce/ingest in order to maintain a certain concentration in your blood (plasma). This study simply looked at how varying levels of orally administered vitamin D3 (cholecalciferol) effect the plasma (blood) concentration of vitamine D. It found that a dose of 400 IU = 55% of infants with the recommended plasma concentration, a dose of 800 IU – 82% of 3 month olds with the recommended plasma concentrations, a dose 1200 IU = 92% of recommended concentrations and at a dose of 1600 IU, 100% of three month olds had the recommended plasma concentration of vitamin D. However, there were concernes with such a high dosage. That's all the study says. It does not say anything about inadequacies of breast milk. How about letting babies get a little sun light? Or mom and baby getting sun. I like to nurse outside sometimes. Fresh air is good for most babies. And the sun is ok lol. This can be taken to be a measurement of how much vitamin D adults actually need. If we first have to prove that you need a certain dose to prevent certain diseases, then you may not find certain positive effects of vitamin D (because such effects can be indirectly related to health and not readily seen in double blind studies), so the recommended dose can be way too low. Another apporach is to assume that evolution would probably not have led to breast milk being severely deficient in Vitamin D, so the natural vitamin D level of the mother should be such that the baby gets enough. I consider this web site has some real superb information for everybody! Way cool! Some very valid points! I appreciate you penning this post plus the remainder of the site is likewise really good. That sounds great if you live in California. What about people who have babies under 6 months who live in places that snow from October to March. You would rather stick your baby outside in a snowstorm than give a Vit D supplement? Unless you have actually stood in weather that was windy and snowy yourself, you can't intelligently comment. we are like these. And we stay in front of the window when is sun outside, or go to a swimming pool covered with glass etc. As a mother who breastfeed 9 months, I consumed more fish and code liver. No supplement for us. Carry your camera at vision levels. This much better lets you record a personal and welcoming appearance. For animals and animals this simply means acquiring correct as a result of their levels to adopt images but in so doing you will bring the viewer more intimately to the picture and evoke a much more psychological response. If your little one is a graphic student, there are several beneficial tools will assist them to find out. Combine flash credit cards, workbooks, charts and coordinating games to your instructing. This helps these people to learn finest and retain more info. Home schooling lets you use different resources to aid your kids learn the very best. Vitamins are very important for the proper functioning and health of the body. Vitamin chart should be at every home and people should eat as per the chart. Vitamins and proteins keep you healthy and give you long life. Find more discussion at our Question and Answer Website. I am looking into for a little bit to get a high quality articles or blog posts within this sort of area . Searching in Google I ultimately discovered this website. Reading this info therefore I am grateful to express that I provide an amazingly excellent unusual feeling I found out just what exactly I needed. I most undoubtedly will ensure to never ignore this web site and provides it a peek constantly. Hi! A friend with my Facebook group shown this blog with us so , I came to look it over. I definitely like the info. I am bookmarking and are tweeting this to my followers! Awesome blog and outstanding layout.